Buying 4 bedroom modular homes can be stressful and exhilarating. A modular home is a huge purchase, and you, as a consumer, should take the time to find out more about every aspect of the home you intend to buy. 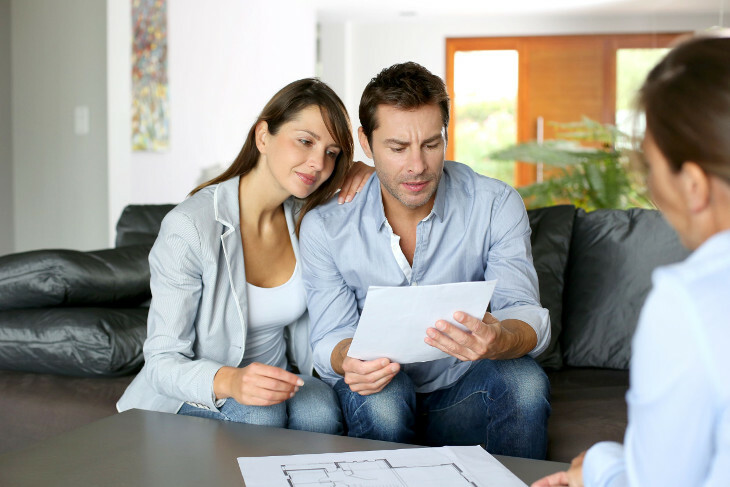 Having the right information regarding the home purchase process can help you to avoid the potential pitfalls. Additionally, the information will enable you to make a home purchase decision that you will not second-guess in the future. Modular home dealers are like car dealers; they all use the same mark-up and commission systems. Therefore, understanding the target price for a home, the financing alternatives, and being ready for dealer’s maneuvers is the perfect strategy to get the modular home you crave for. Here are tips to help you save time, money, and avoid unnecessary difficulties. Buying a 4 bedroom home can be exciting, and it’s tempting to grab the first manufacturer and floor plan you fall in love with. However, exercising a little patience will go a long way toward changing your purchase to haven instead of headache. Though the house will be constructed at the manufacturer’s premises, you need land where you will place it once it’s complete. This means that you should start shopping for unused land to put your house on. The cost of land varies significantly. For instance, the cost of land in an urban setting is different from the cost of land in rural areas. Therefore, it’s important to know the average cost of a particular size of land in the area you want to live. Also, don’t forget to consider the property tax requirements in the area you wish to settle. 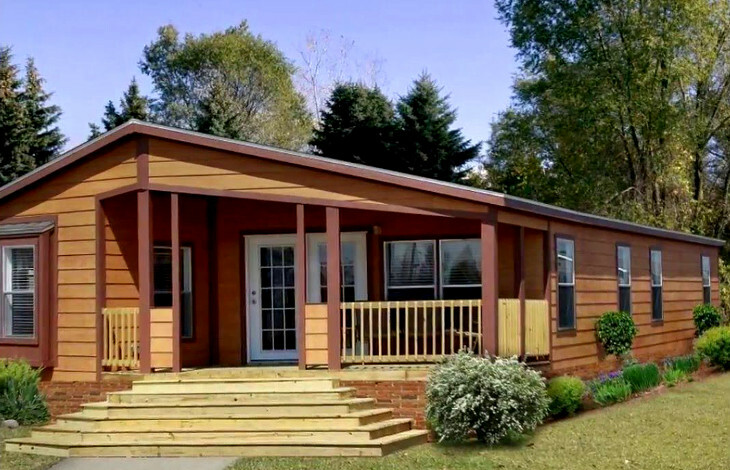 Modular homes vary in size depending on owner’s preferences. If you intend to buy a 4 bedroom home, you need to specify how big each room should be. Think about the square footage your family has currently and how much extra square footage you need. If you aren’t sure, you can visit open houses or model homes in your area. Though you don’t plan to buy such homes, visiting them can give you a sense of how much space you require. More square footage typically means increased expenses. Therefore, you should carefully consider what you intend to spend and the amount of space you need. Certain features can significantly lengthen the lifespan of your home and make living in it more comfortable and cost-effective. 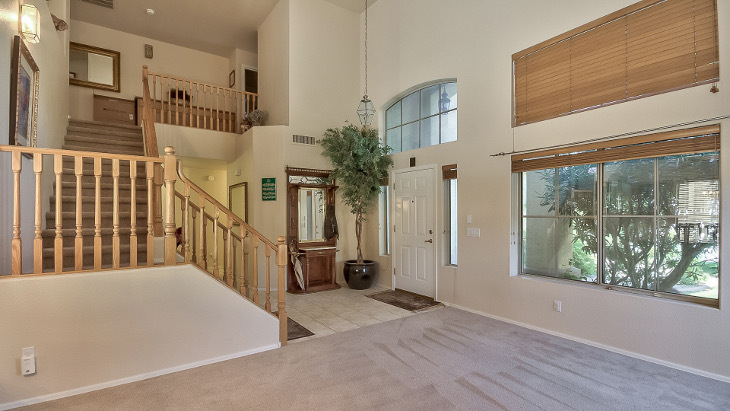 Many of the details of superior construction are hidden within the walls, floor, and ceiling of the home. These details include the R-value of the construction, size, spacing of the floor joists, and more. 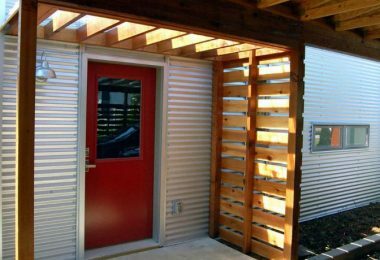 The following are features that can lengthen the lifespan of your modular home. 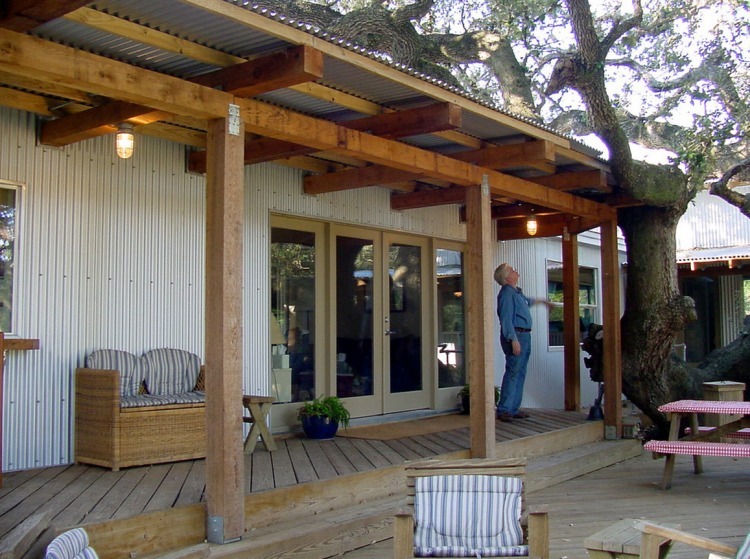 Roof overhang: most homes have zero or minimal overhang at the back and front. This implies that water runs down the walls every time it rains. This causes damage to the walls and such a home can’t last long. As the overhang increases, so does the quality of the house. Siding: always avoid a particleboard sided home especially one that lacks overhang. 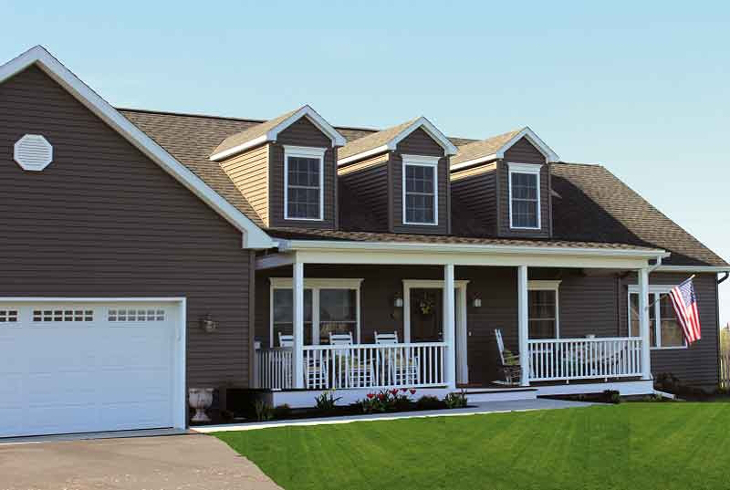 Instead, install vinyl siding on your house to avoid unnecessary moisture intrusion and wood rot. Front door: make sure that your home has a high-quality steel front door particularly one that resembles the door you would find in a site-built house. Less quality front doors like the ones found on travel trailers won’t last long. Roofing: if you want a durable roof, opt for what is known as “dimensional“ or “architectural” shingles. 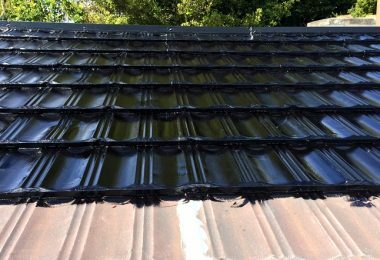 The roof has an extra thickness at the edge making it strong and resistant to wind damage. 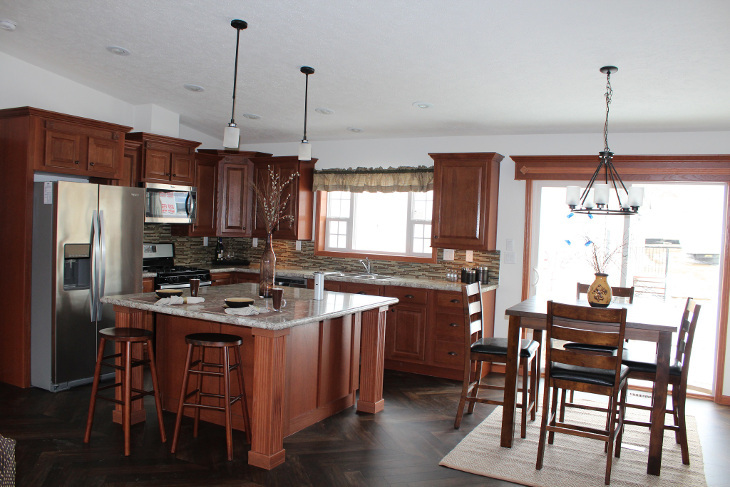 The cost of your house will increase depending on the features and upgrades you need. Note that high-quality construction materials will make your home durable but they are expensive. Though you may have spotted a modular home manufacturer, you may get a better home at a better price from a different manufacturer. 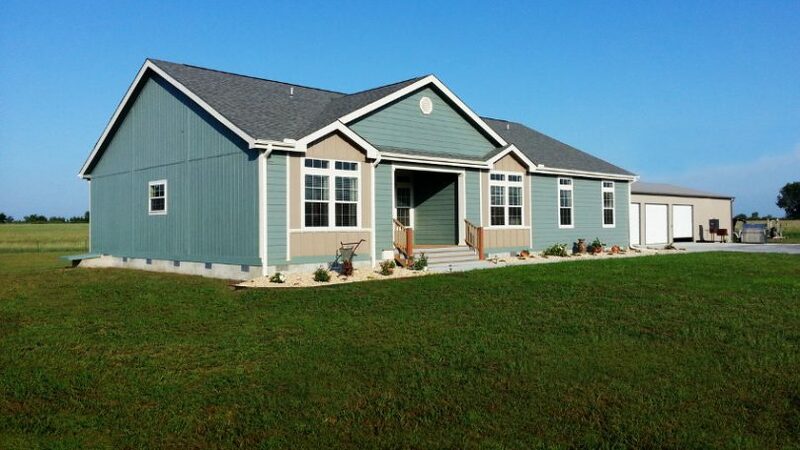 Thorough research and patience are important when searching for a modular home manufacturer. You can begin by checking online reviews for different home manufacturing companies. Request them to send you their customer testimonials. Also, you can ask your friends and family to refer you to competent home manufacturers. As you search for a competent manufacturer, keep the following rules in mind. Pretty is important but durability and service is more important. Therefore, take the time to research and compare different manufacturers. With that you can pick one that will build a pretty and durable modular home for you. You should never pin your hope on only one modular house dealer. There are hundreds of home manufacturing companies out there ready to offer high-quality services and products. Make sure that you choose the BEST home manufacturing company. Get to know the cost of substitute housing alternatives including houses, condos, and apartments in your area. These details will help you place sticker prices along with land rent and other utility bills in a larger perspective. Having detailed information regarding different modular home manufacturers will help you to compare the manufacturers effectively and choose one who can build what you want. Before setting your foot on a dealer’s lot, get to know your financing options. You can check out with banks, credit unions, and traditional manufactured home lenders. 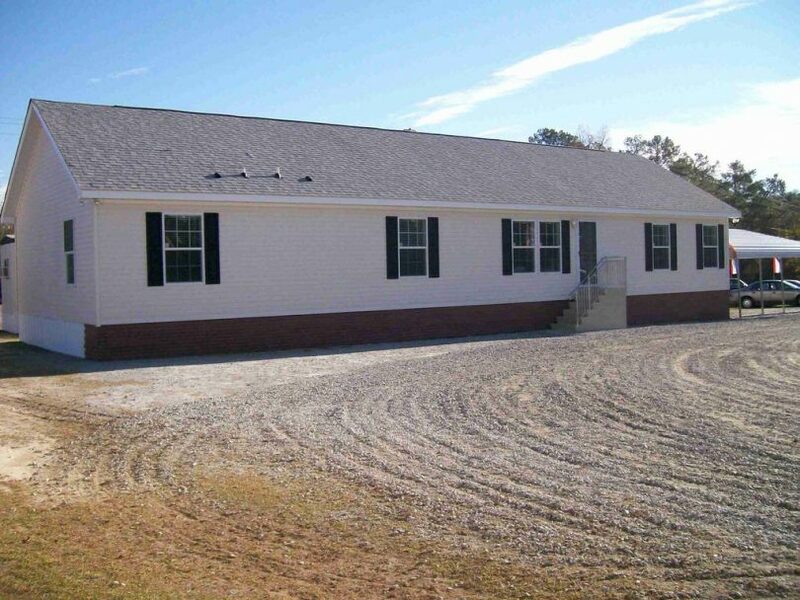 Often, dealers finance modular homes using chattel loans or personal property rather than mortgage loans. Keep in mind that the dealer will get a commission for obtaining credit for you. If you want to eliminate that commission, try to talk to the lenders directly. Even if you must get financing through the home dealer, you can negotiate better if you understand your options well. Evaluate all the costs associated with homeownership such as financing charges, land rental, maintenance costs, taxes, insurance costs, and other costs. Don’t just wrap costs unnecessarily into your house buying loan. Note that interest rates on modular homes that aren’t tied to land are usually several percentage points higher than the mortgage loans. Where do you want to place your home? Think carefully when trying to answer this question. 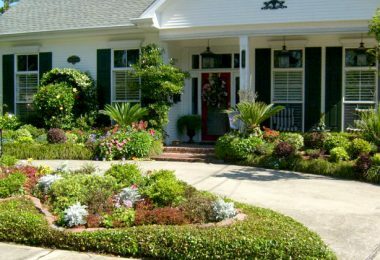 Placing your home in a rental lot minimizes the chances of earning equity from your home. 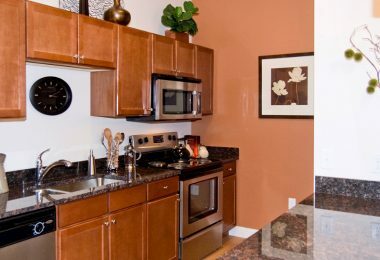 Even the reputable rental areas are subject to rent increases and ownership changes. This can increase or add unexpected expenses in your monthly budget. Owning a land can minimize your financing costs and enhance your tenure’s stability. Once you have listed down the features of your desired home, spotted a manufacturer, and have financing options, it’s time to compare prices for various home dealers. You can get information regarding prices and financing options for different dealers online. Remember that you shouldn’t give your credit details to each dealer as this can lower your credit score. 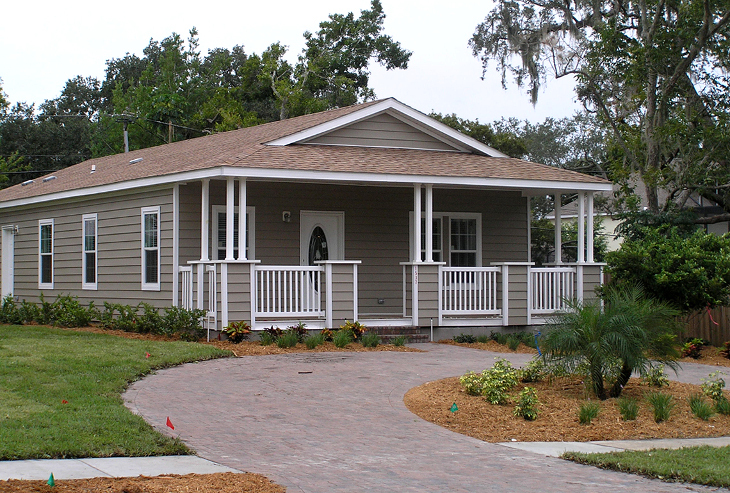 Instead, ask them to give to price estimate for 4 bedroom manufactured homes or an estimate of the loan terms. Trust me, this will put you in control from the start. It’s advisable to purchase a home that rhymes with your budget, not the house that the salesperson wants you to buy. This implies that you must know the total cost associated with the house you want to buy and the monthly payments if any. Sometimes, a dealer may cite affordable monthly payments, but keep in mind that the contract length ranges from seven to 30 years. Additionally, the interest rate can vary significantly. Don’t be surprised that high interest rate over a longer term will double, if not triple, the actual cost of the house. You should never allow the dealer to coax you into quoting the monthly payments or the price you’re willing to pay. Instead, ask for the entire cost of your desired modular home and negotiate from that point. It’s even better to ask for the invoice price. Though some dealers don’t like disclosing the invoice price, it’s better to negotiate from the invoice price than from retail price. One of the costly mistakes that most home buyers make is making a partial payment before they are sure they want to purchase the home. 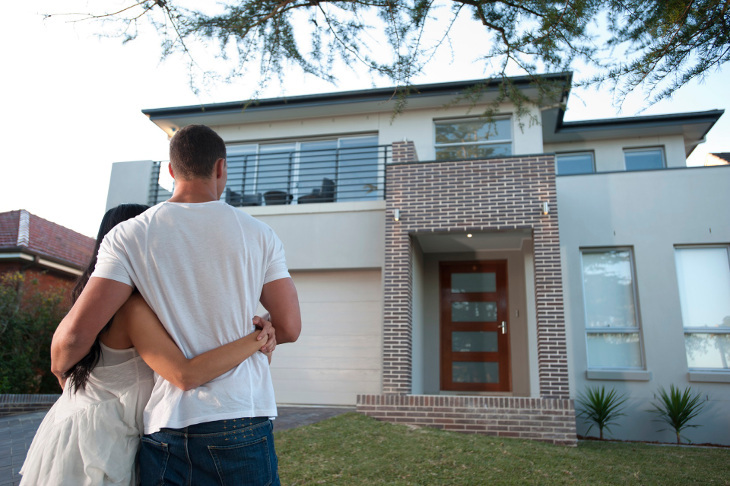 Avoid putting down money on any home unless you are absolutely sure that you will buy it. Difficulties might arise when trying to get your money back especially if you change your mind. It’s advisable to shop around for every component of your package. Though a dealer might offer to act as an insurance broker, a real estate broker, and a mortgage company, he or she will not offer you the perfect deal on any of these services. At the end, you will pay higher amount for each item in the package deal – insurance premiums, prepaid park rent, and more, by adding the cost to your loan. Don’t forget that this increment will eat into your home equity like a corrosive acid. 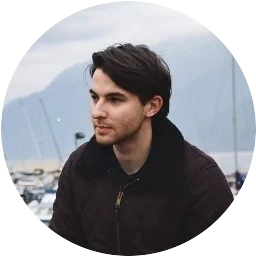 With the prevailing high interest rates on chattel loans and personal property, you will end up paying almost double the actual price of the item. Buying a house, regardless of the type, is a long term commitment. If you make a mistake of signing a contract that you aren’t sure of the requirements, you may end up regretting for the next 30 years. Note that genuine modular home dealers will still allow you to buy a home next month. Therefore, you should be skeptical of freebies, ‘special’ prices, and other terms that most dealers use to entice you to sign a modular home contract instantly. Besides, you should be prepared to turn down the offer whenever you feel uncomfortable about the contract terms. Retailers, installers, modular homes component manufacturers, and modular home manufacturers may offer different warranties covering different parts of the same home. In case a problem shows up in the future, it will be difficult for you to determine who should take the responsibility of correcting the malfunction. For instance, if a faucet malfunctions, will it be because of poor installation or the manufacturer made a substandard faucet? Therefore, it’s advisable to purchase a modular home from a factory dealer rather than independent dealer. When problems arise, you will call the manufacturer and you won’t have many problems after the purchase. It’s also important to know what might render the warranty invalid. Sometimes, improper site preparation or selling the home can void the warranty. If the warranty documents aren’t clear about the actions and circumstances that can void the warranty, ask for clarification. If improper land preparation can void the warranty, ask the home manufacturer or retailer to inspect your lot. Once they certify that the land preparations satisfy the requirements by the warranty, you can purchase the home. Try to find out, if any, particular home maintenance tasks must be done to keep the warranty valid. Don’t be surprised that a dealer might require that the carpet be professionally cleaned for at least 12 months to keep the warranty valid. Keep in mind that some minor details can cost you a fortune. Therefore, you should never sign a modular home contract unless have understood all the terms and conditions including any action that can breach the contract or void the issued warranty. Once you have decided which home to buy and the cost, you will sit with the dealer to sign the loan documents and purchase contract papers. Always remember that you are making a long term commitment. It’s important to review the contract carefully, ensuring that the digits (the interest rate, home price, charges, payment, and more), are listed accurately. If there is a mistake, you shouldn’t be afraid to go home and come back when the mistake is corrected. Some typing errors can be costly. For instance, if the actual price of a home is $50,000, and the contract states that the price is $500,000, it will be difficult to change this figure once you sign the contract. Don’t sign the contract unless you review the warnings and disclosures. You might be tempted to just sign the contract as fast as possible to allow the manufacturer to start constructing your home, but if you breach the contract in the future, no one will excuse you for your ignorance. Beware of contracts that seem to charge buyers finance fees including prepaid points, origination fees, ‘buyer’ fees, and other charges that you can’t understand. In such contracts, these charges appear to be deducted from the ‘amount financed’ as if the buyer will not pay for them. Don’t be deceived, you, the buyer, will pay for all these expenses. Some dealers tell the buyers especially those with bad credit, to coax a family member who has better credit to co-sign or purchase the home for them. Note that the home belongs to the buyer who signed the contract. Though a dealer may promise to alter the homeownership documents in future, he will be unable to keep that promise unless the home is completely paid off. However, you can get the details regarding ‘buy for deals’ such as agreed transfer date, amount, and other details in writing. Besides, you should ensure that every blank space in the contract papers is filled in before you sign the contract. As you leave the closing, ensure you have a fully signed copy of the contract. Never accept the ‘we will send them to you’ stuff. Don’t sign the contract unless you understand everything written in it. You shouldn’t depend solely on representations by salespersons to know what’s included in the contract. Instead, bring with you someone you trust and understands the modular home contracts to explain what you don’t understand. Always remember that a contract is a legal binding document and you shouldn’t be afraid of seeking help where you need it. Purchasing a 4 bedroom home, especially a modular one, isn’t a walk in the park. You need to do more than researching; you must specify features of the home you need, where to get it, and how you will finance it. What did we miss? What helpful tips can you offer if you’ve gone through this experience? Share your thoughts with us so we can spread the word to other readers.